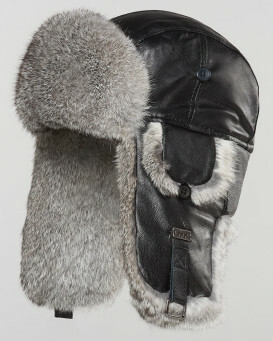 This Mouton Sheepskin and Leather Aviator hat is made of genuine Mouton Sheepskin and premium quality Lambskin Leather. 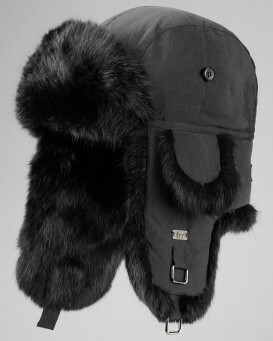 Stand above the crowd with this stylish classic aviator hat. 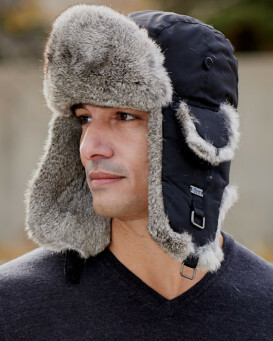 Features include a front brim which can be let down and ear flaps that can be worn down for extra warmth and style or neatly folded up and tied at the top. The insulated, static-resistant quilted lining will keep your head warm and dry. 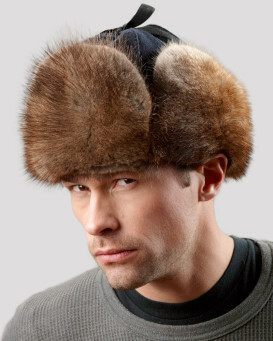 "My husband loves his Russian hat with the ear flaps. 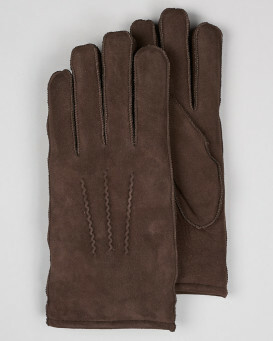 It is very good quality and very warm on these cold windy days. 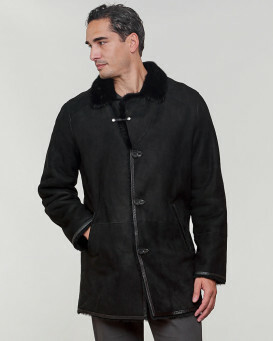 The Lambs fur is very soft and lush and the leather is supple. Overall a great item. Shopping was smooth and easy and shipping so fast. This is the second item we have ordered and was a pleasure doing business. Thanks"
"I was treated like a king on here! 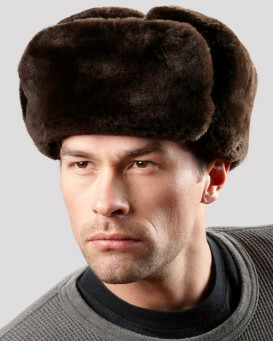 My hat is incredible, the fit, the warmth, the look is fabulous!" "Great product, great quality. A little bit smaller of what I expected but it feels great." "I love my new hat. I is everything I wanted and more." "My husband loves it. 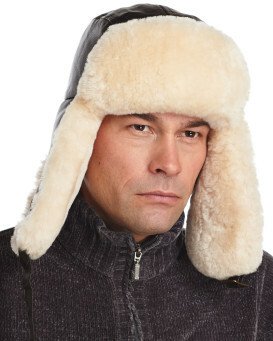 It's been in the 20s here and this hat keeps him so warm that he actually gets hot while walking the dogs in the snow." "The hat itself is quite nice. 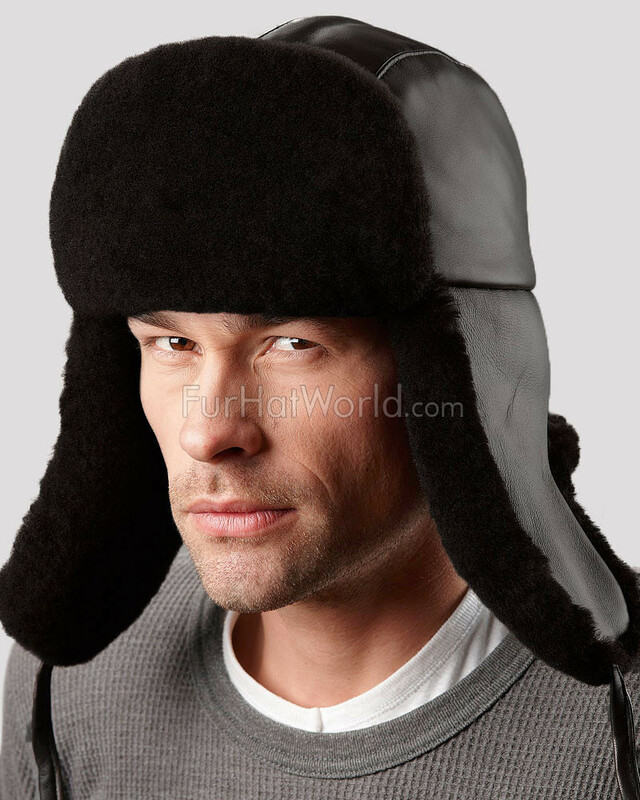 I followed the fitting guide, but when I first got the hat it was way too tight. It has however, relaxed and fits very nicely now. It is warm, very warm; I almost wish there was a vent in the top for when I'm more active. 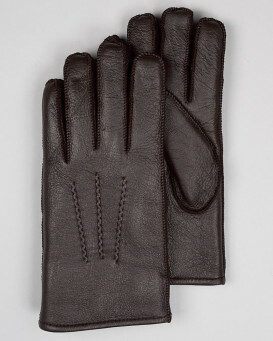 On the downside, the leather is very thin and I often worry about damaging it when I take off the hat. 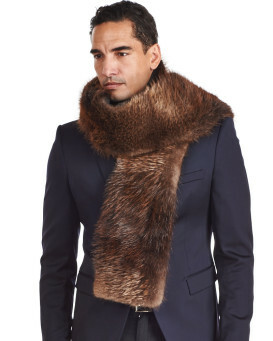 The leather tie straps are just bad design. 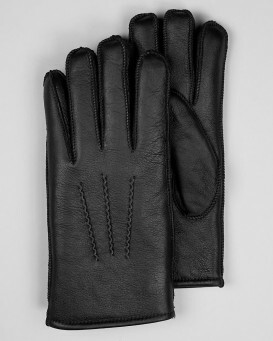 You'll not be able to tie up (or down) the side flaps while wearing gloves (it is difficult even without gloves). The leather ropes do not hold a knot well. That being said, there is no metal to freeze to your face from a buckle." 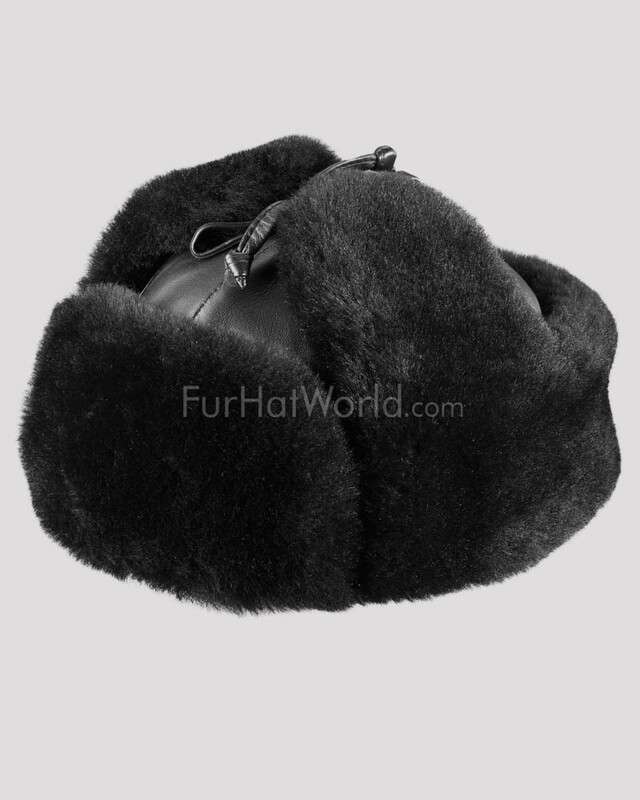 "I love my new Fur hat: quality, look, feel and fit are perfect.."
"Fits a little snug. My fitted baseball hats are 7 5/8. Ordered XXL. 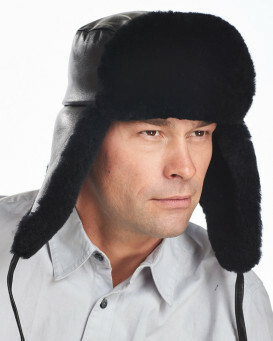 The hat is warm."